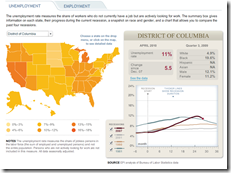 The Economic Policy Institute has a collection of interactive charts covering employment, GDP, and capacity utilization. 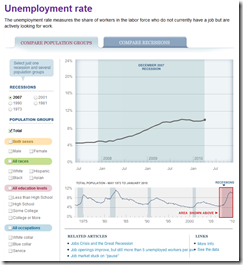 There are also filters to facilitate quick comparisons across recession periods. Joint effort of the Brookings Institute and the Financial Times. 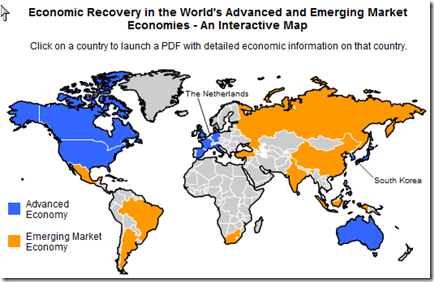 Click on a country to open a PDF with detailed information. Or, you can look at the summary for all countries. Related Brookings post. 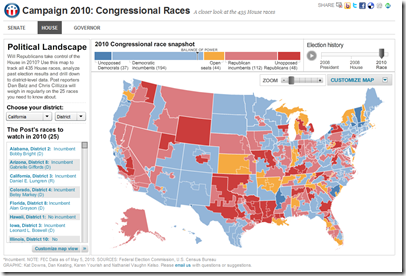 The Washington Post’s new “Post Politics” online section has an excellent map of elections (Senate, House, and Governor), all updated regularly. Click around for a while – there are a large number of filters, drill downs, and highlights to play with. Central bank rates from 2004-present (updated 4/20). See how countries are exiting from their stimulus policies. 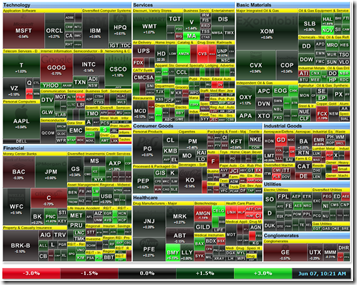 The best part is the lower chart showing the latest data for each of the 11 “leading indicators”. 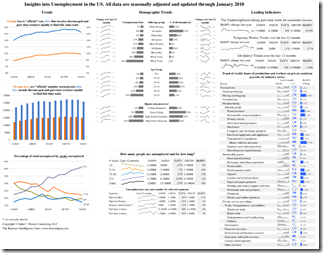 Nice collection of employment charts, updated monthly. Updated November 24th. 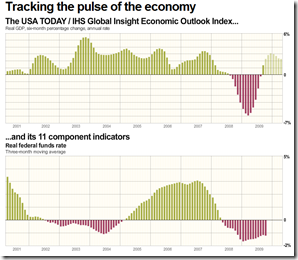 The best part is the lower chart showing the latest data for each of the 11 “leading indicators”. 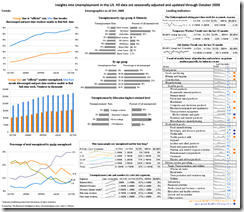 A nice dashboard digging deep into unemployment stats. 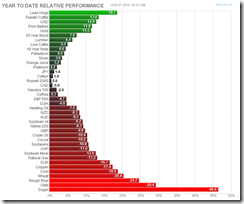 Updated monthly. Updated November 2nd. 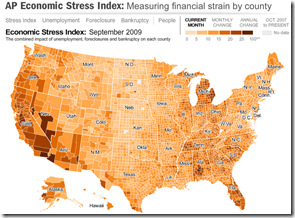 The map displays unemployment, foreclosures, bankruptcy, or a composite “stress index”, by county. In the upper right you can change the period the %-change is calculated for. 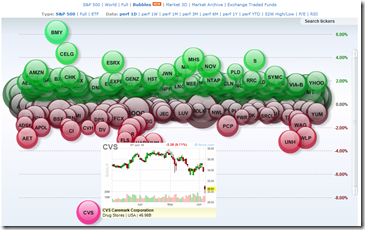 To look at data over time, click on the “Oct.2007 to present” option and a historical slider will appear at the bottomDouble click on a region to zoom in; click & hold to move around. 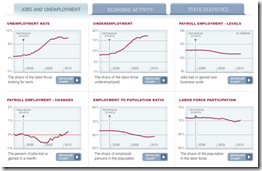 Economic Recovery: Coming Soon to a State Near You? 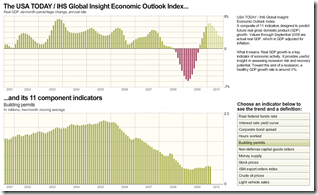 Timeline of recession and recovery (the Adversity Index) from Moodys/MSNBC (1995-2009). You can drill down to individual metro areas by clicking on a state. The Adversity Index page has a number of related articles. 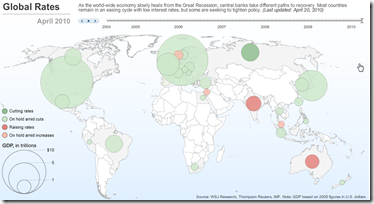 There’s also a map of “recession resistant areas” (has had no more than 9 months of recession over the past 15 years).